Diagnostics, What You See is What You Get! 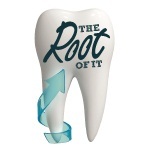 The Root of It Commentary: Diagnostics, what you see is what you get! American Association of Dental Office Managers: April 4, 2014! This Week in Dentistry: Bacterium & fungus cause early childhood caries! The Henry Schein Outlet Store: Identafi Oral Cancer! The Root of It Commentary………………………………………………………………………………………………………………………………………. Last week I attended the first north east presentation on trans- illumination diagnostics with low level laser technology. The best part about the session was the questions that were asked and the discussions that transpired between the attending clinicians. Although trans-illumination is not new to dentistry, the technology presented was fascinating and a definite up-grade in a dentist’s diagnostic ability. The CaviVu system is the offspring of Difoti’s technology that was developed over 10 years ago. The new USB camera can scan the entire mouth in less than 60 second and will identify caries that traditional x-rays cannot detect. However, the technology does not replace x-rays. As of today intraoral trans-illumination is only functional above the gum line, it will not see root or bone structure. The points raised by the attendees were both advantages and concerns. The advantages were apparent. Patients that refused x-rays, for whatever reason, can now be scanned for interproximal and occlusal lesions. Woman that are or may be pregnant can be scanned safely. Children or older adults that have trouble with digital sensors as well as anyone undergoing chemotherapy can now be examined more effectively. Another advantage of trans-illumination diagnostics is that there is an ADA billing code (# ). The patient cost is only $49.00 and may be covered by insurance. For patients that don’t want to pay for x-rays, this may be a nice alternative. Also, offer diagnostics without radiation can be an incredible marketing tool. Please remember that for every action there is an equal and opposite reaction, so this new technology does have its down side. By offering diagnostics without radiation, more patients may want to opt-out of traditional x-rays and you will need to educate them as to why you need to see below the gum line. Also, the removable camera head will deteriorate over time due to your chosen sterilization process. In conclusion, this is good medicine. Trans-illumination is an excellent tool in the dental diagnostic tool bag and although its formal introduction in the U.S. was only last month; the technology is not new and should be considered. Product Review – Channels ………………………………………………………………………………………………………………………………………. The new Channels™ product line, is a comprehensive endodontic portfolio that features nickel-titanium rotary files, advanced carrier-based obturators, stainless steel hand instruments, and accessory products. The system was designed with the clinician in mind, making endodontic procedures more efficient and cost-effective than leading brands. The products combine time-tested foundational methods with cutting-edge technological advancements to enhance precision and efficiency. With enhanced flexibility and the intelligent tapering design of our NiTi Rotary Files, along with the seamless compatibility of the system’s other components, Channels will enable you to navigate with confidence. Its instruments are smart, versatile, and easily adapt to navigate any root canal, no matter how complex. Channels is a comprehensive and cohesive system that thrives from its focused direction. Due to its unsurpassed value, Channels is easily accessible to all who wish to improve the endodontic experience for both dentist and patient. Efficiency is important, both technically and financially, which is why we offer Channels products at a significant discount over competitors’ prices. A new study, published in The Annals of Thoracic Surgery, warns that removing an infected tooth before heart surgery could increase the risk of major complications, including the risk of death prior to surgery. Abscessed or infected teeth are often removed before heart surgery, as this decreases the risk of infection during surgery and decreases the risk of an inflammation of the inner layer of the heart – called endocarditis – following surgery. “Guidelines from the American College of Cardiology and American Heart Association label dental extraction as a minor procedure, with the risk of death or non-fatal heart attack estimated to be less than 1%,” says study author and anesthesiologist Dr. Mark M. Smith, from the Mayo Clinic in Rochester, MN. Dr. Smith and his colleagues found that 8% of patients who had teeth removed prior to heart surgery experienced adverse outcomes. These included heart attack, stroke, kidney failure and death. Overall, 3% of patients died after dental extraction and before the heart surgery could take place. CDT 2014 Update . . . have you installed it? Here it is March 18th and I still see offices that have not yet installed the CDT 2014 ADA codes yet. If you are in this list here is a video that will help you with the update. Don’t wait, there are many new codes that will benefit your office. Topics: “Managing the PPO’s” & “Receivables & Collections”. In-Sight from the Mouse! 3 Ways to Spring Ahead in your Career! With the new season ahead of us, it’s time to move forward, look at things differently and head down a new path in your career. Spring is the season of new beginnings, and you can take a cue from Mother Nature to refresh your workplace habits and create your own “new beginning.” And remember, you don’t need to make a drastic career move to start over. As Walt said, moving forward leads us down new paths. Where will this season lead you? Reimagine Leadership: Regardless of job position, at Disney Institute, we believe that everyone is a leader. Take a moment at the beginning of each day to remember that you are a leader and your actions reflect your values and those of the organization. Empower yourself to find new opportunities to further develop your leadership skills. Volunteer to take on ownership of a new project. Mentor a new employee on the team. Evaluate your personal career goals and create new paths to achieve them. Practice Gratitude: With the sun shining, it’s hard not to have an extra spring in your step. Take this positivity and share it with your team. Providing genuine care for your people is one key to engaging employees and will directly translate into genuine care for your customers. Find new ways to appreciate the work that your employees, peers and leaders are contributing to the organization. This new level of appreciation will put a spring in the step of a happier, more engaged workforce. Innovate New Ideas: Take the change in scenery as an opportunity to brainstorm and think outside of the box. Move that weekly meeting from the conference room to the great outdoors. Take a field trip to spark new ideas. Innovation stems from new stimuli and spring adds bright color and fresh air to your routine. Walt believed that curiosity will lead us down new paths. Become curious of your surroundings and let the creative juices flow. What new door will you open this season? The relationship between a bacterium and a fungus may be responsible for early childhood caries, report University of Pennsylvania School of Dental Medicine investigators online Feb. 24 in the journal Infection and Immunity. The bacterium Streptococcus mutans and the fungus Candida albicans act together, the researchers say, with S. mutans enabling C. albicans to produce a glue-like polymer in the presence of sugar. The polymer allows the fungus to stick to teeth and to bind S. mutans. This relationship with S. mutans aids the fungus in contributing to the bulk of plaque, they say. The assumption prevails that S. mutans is the sole organism contributing to tooth decay, but the Penn researchers say that their study showed infection by the bacterium along with C. albicans doubled the number of cavities and increased the disease’s severity in rats. Dr. Koo and his collaborators—as well as other investigators—noticed that C. albicans is very often present in early childhood caries biofilm. The Penn investigators studied the relationship in vitro and in vivo. The online article “Symbiotic Relationship Between Streptococcus mutans and Candida albicans Synergizes the Virulence of Plaque-Biofilms In Vivo” is available here. The final version of the article is scheduled for print publication in the May edition of Infection and Immunity.